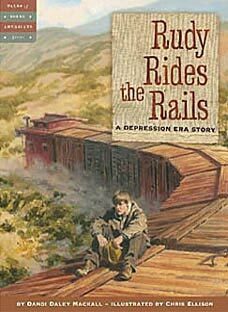 In this picture book set during the Great Depression, teen-aged Rudy 'rides the rails', looking for work. 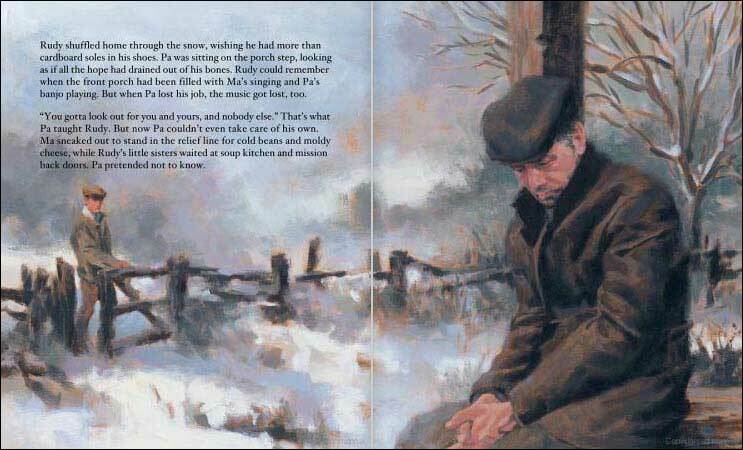 En route, he meets other travelers and generous towns- people and slowly begins to doubt his father's advice to "look out for you and yours, and nobody else." 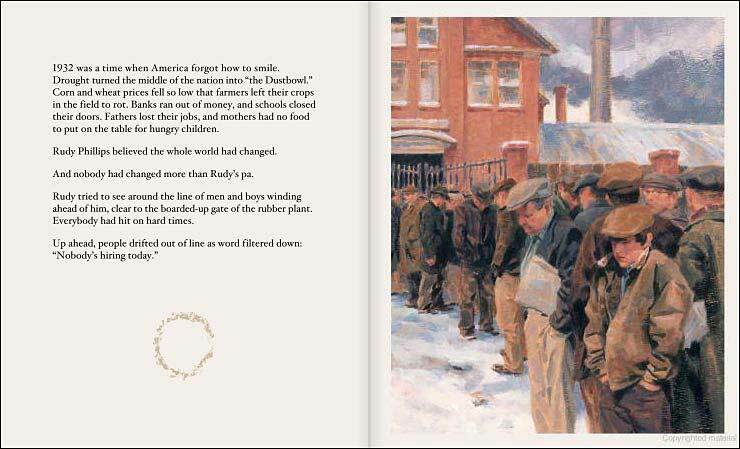 This book was a National Council for Social Studies Notable Book for 2008!